Can you spot all the confirmed fan theories in Game of Thrones: Home? I know you think I’m going to focus on the main confirmed theory, but of course I’m going to save that for last. OK so maybe this wasn’t a fan theory, but we don’t know a whole lot about Lyanna that hasn’t be told to us. In the first book we hear stories from Robert that make her sound like a sweet virgin that was attacked by a spoiled prince. Ned’s memories are tinted by grief and shrouded by mystery. So we finally get to see Lyanna and witness for ourselves that she’s not some simpering lady that would get taken advantage of. Instead she’s a fierce woman like Arya and doesn’t seem like someone that would need much help. Maybe then we’ll get R+L=J confirmed next week. 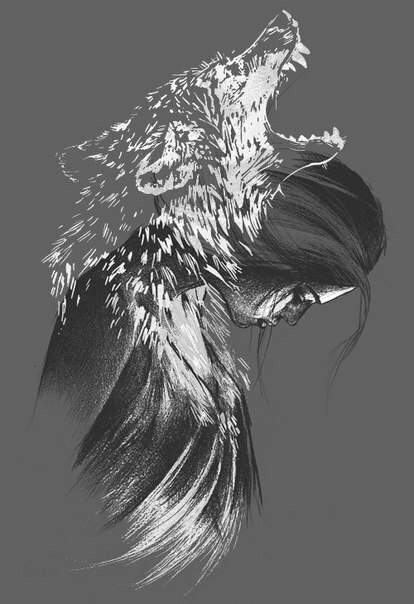 Lyanna seems more like someone that would let the world burn around her to be with the one she loves. I need that to be true. Where is Brandon in the flashback? 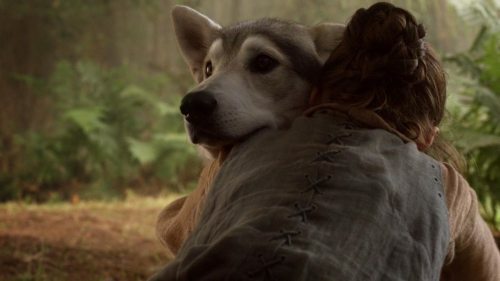 Ned wasn’t the first heir of Winterfell and the show has kind of ignored the fact that the Mad King not only killed Brandon, he also killed Ned’s father. Old Nan is who grabs Hodor/Wylis and pulls him away from the fight. It’s alluded to in the book that Nan is hundreds of years old and has some magic knowledge. 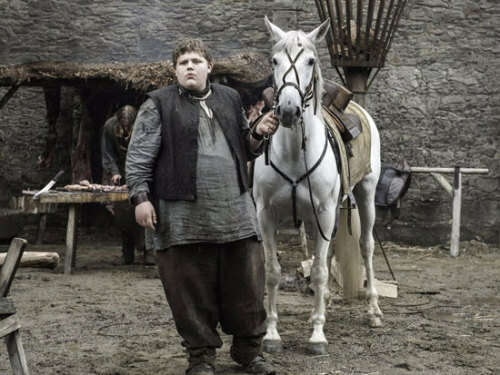 They show Hodor young and able to talk. There’s a fan theory that Hodor was somehow traumatized when Lyanna died or during the war and that’s why he just says Hodor. Maybe the show is buying in to that and I’ll be interested if they do. This isn’t a theory that I hate, but I also don’t love it. In the books Hodor’s real name is Walder and Old Nan tells them that. But that would have made like the millionth Walder so I understand why the show wanted to change the name. Wun Wun is the name of the giant– you know the one that decided to smoosh some people this episode. He’s a little more prominent in the books and I had a theory that Jon gained control of him to try to get help when he was attacked, but they didn’t got that way on the show. However I’m happy that they involved him in Jon’s rescue. Wun Wun was proof that everything that people found scary Beyond the Wall weren’t as bad as they seemed. He was trying to learn to speak and adapting to the environment. It’s been suspected that Ser Robert (the huge quiet knight that likes to kill) is the Mountain in zombie form that Qyburn has revived. The books never really confirm it, but they hint strongly to it. The show jumps right into this theory though and pretty much confirm that Ser Robert is the Mountain. 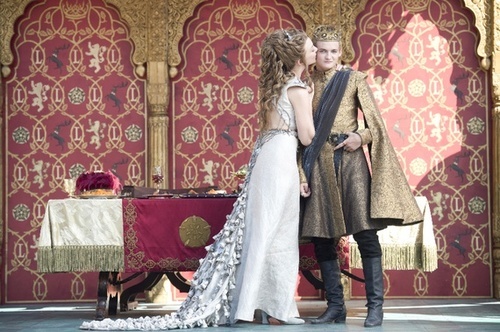 I wonder if Qyburn has a backdoor control on his monster that will backfire on Cersei though (I hope so). There is a running theory that he is Howland Reed (Meera and Jojen’s dad who was at the Tower of Joy with Ned Stark. The thought is that he is taking down the people who killed his friend (Ned) through the church. 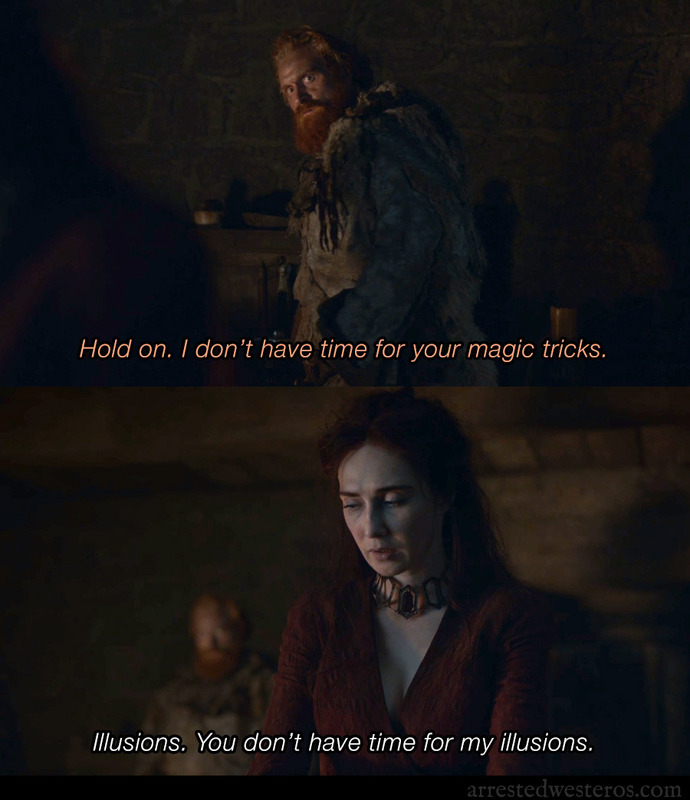 I go back and forth with this theory, but we should find out more about Howland next week when Bran has visions of what really happened at the Tower of Joy (I’m sure it was all really cheerful happy things). OK so stay with me for a moment. In the books Prince Quentyn tries to do what Tyrion does in this episode– fully expecting the Targaryen blood he has to help him control the dragons. Instead the dragons are freed and and Quentyn dies a horrible fire-y death. However there is a huge theory that Tyrion is not Tywin’s son, but instead is the result of either an affair with the Mad King and Tywin’s wife or that she was raped by him. There are many posts that back this theory up and just as many that refute it. 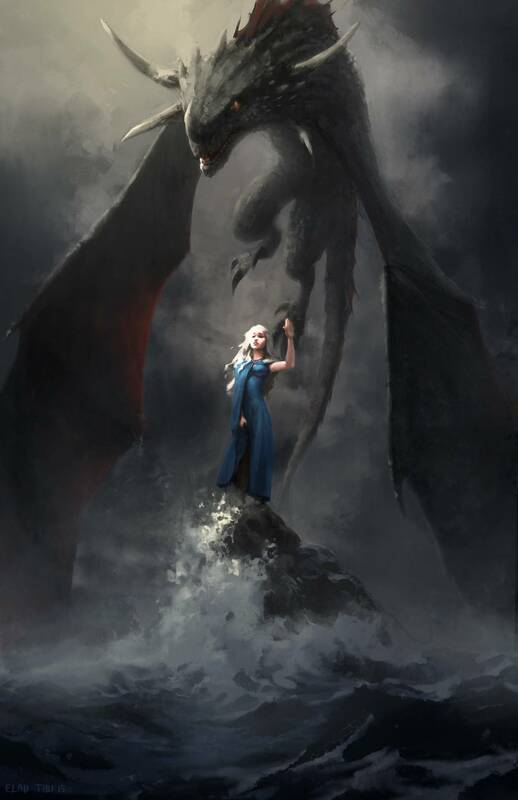 It is also known that if you have dragon’s blood in you that the dragon’s will trust you (Dany actually gets betrayed by someone because of this). (It is known). In walks Tyrion who calmly (or at least a hell of a lot calmer than me) talks to the dragons– says they are totes besties and then removes their chains. All without getting burned or eaten. 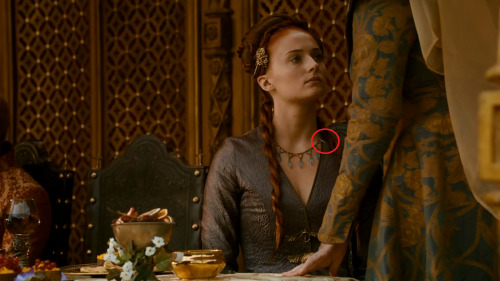 So did the show just confirm that Tyrion is a Targaryen? 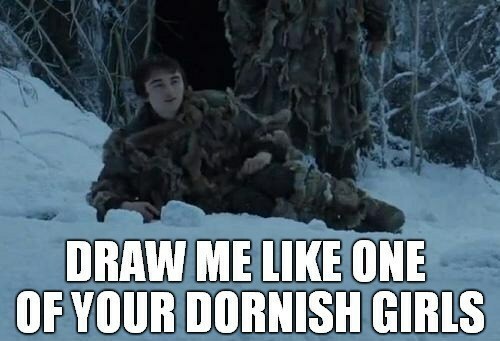 Or is he just well versed in Dragonlore? Will he be the third dragon rider (I already have the other two picked out). Quentyn dies trying to free the dragons, but he frees the all the same. Leaving them to terrorize the area and do what they want. My theory is that the white dragon (Viserion) is on his way to the Wall to meet his rider there. So did Tyrion just let the dragons all the way go and can Viserion go meet up with his Dragonrider now? I already talked about how much Arya and Lyanna are alike and we see a beaten, but not at all broken Arya this episode. There aren’t any theories confirmed for Arya this episode, but I’m getting disappointed on the things that they are leaving out about Arya. In the books she learned how to warg while she was blind so that she could still see what was going on around her. 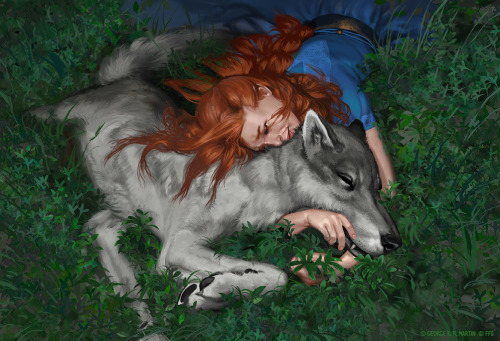 She also is dreaming nightly of her wolf and has her pack pull her mother out of the river after The Red Wedding. I hate that they are leaving these parts out because you don’t see all the growth that she’s experiencing. Also they’ve not done a good job explaining that all the Starks (except Sansa) have the warging ability (Sansa probably did have that, but then her wolf died and she’s also stupid). So I’m holding out until Arya wargs into a cat to spy on people. OK so there aren’t any theories confirmed here either, but there is some glorious murdering— and some really really sick murdering. OK the sh*t is about the hit the fan here, but I didn’t like it in the books and can’t say that I’m enjoying watching it either. Everyone from there is grouchy, dirty and an all around piece of crap. But stuff happens. And I guess it’s important. The Kingsmoot is kinda where they will vote on who will rule next. Imagine the current election, but with more threat of murder. Here’s the main event. 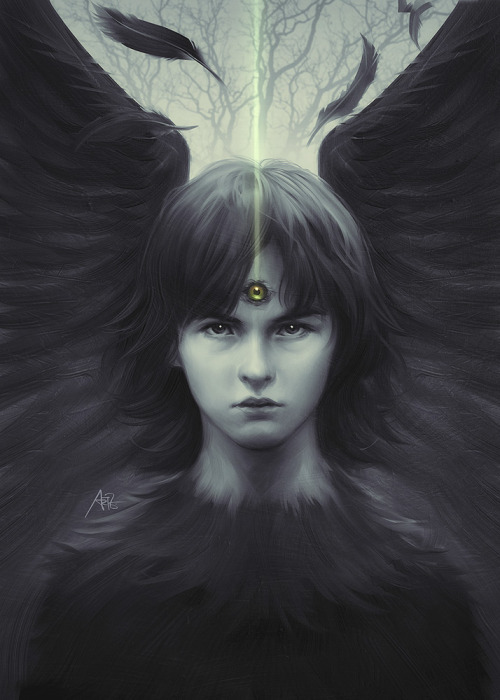 Ever since the 5th book was released there have been theories flying around that the Red Woman would bring him back, or that some other magic would save him. Now it finally happened! Melisandre makes a big show of a prayer and a ritual used to revive Jon, but did that really do it? Is that what saved him or did some other magic save him? Was the ritual necessary or just her faith that her god could do this that saved Jon? 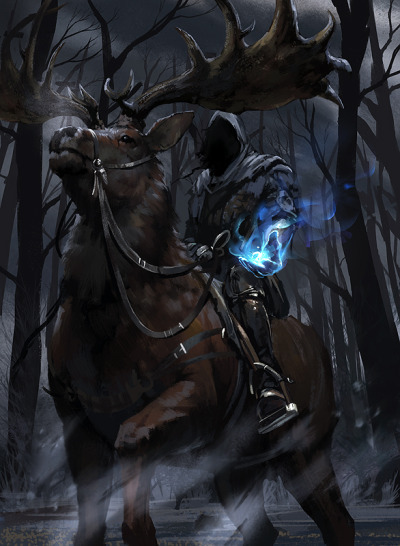 Or did some warg/Northern magic save Jon and the timing is just a coincidence? The only other revival we’ve seen like that was done by just a short prayer whispered in the ear of the the deceased. Will Jon be the same? 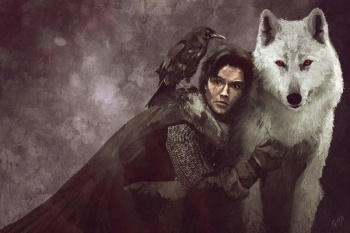 I really think that Jon was never all the way gone because if he had been Ghost I think would have left his body. As it was he protected him until he came back to it. Next week we will finally get to learn about the Tower of Joy and what went down there.